Assistance to open a corporate bank account F.O.C. Any withdrawal of processing before incorporation shall be subject to admin fee of SGD500/- for our documentations and the balance monies will be remitted back in the same mode of receipt. (All the bank charges shall be borne by the beneficiary). There shall be no refund once the company is incorporated. Additional fee of SGD200/- per person towards KYC-CDD shall be applicable when there is any foreigner as either individual Shareholder or Director / Officer with Singapore Citizen. The above price is exclusively applicable only for package of services. The price for any individual service will vary and please contact us for affordable Quotation. Once we have received the details of your proposed company incorporation, we will prepare and email you our Invoice first. Arrange for payment which is accepted through the most common methods – Cash, Cheque, ATM Transfer, FAST, GIRO, Online Transfer, Money Transfer, Telegraphic Transfer & PayPal including Credit or Debit Cards. (All banks’ & PayPal’s charges shall be borne by the remitter). Checking whether the proposed company name is available. Reaching you for any clarification and provide appropriate guidance. Preparing the pre-incorporation documents for signatures. The incorporation documents will have to be signed in front of us in Singapore. However, if you are not in Singapore, you can sign the documents in front of a Notary Public in your home country. We may require the signed original documents which you can courier to us after emailing them for vetting through and once they are in order. You can contact us further for any other alternative solution for this processing. 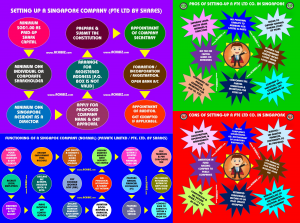 Once the documents are duly received, we will submit the application for incorporation of your Singapore Company with the Accounting & Corporate Regulatory Authority of Singapore (ACRA). 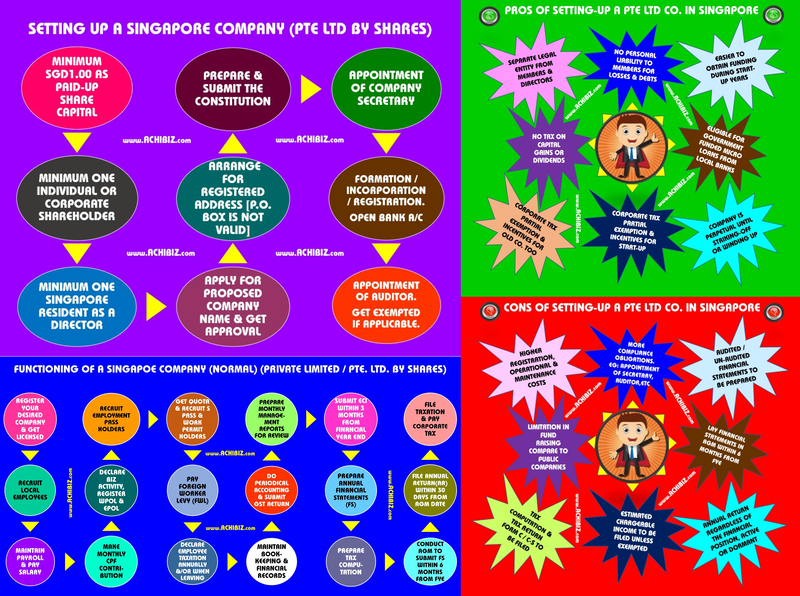 After the Singapore Company is incorporated, you can open your corporate bank account which we will assist. You may be requested to furnish with more additional details if required. Please CONTACT us if you wish to choose this package.